Within Teamwork Projects you can move any unbilled time between your projects. In the Time section of your project, click the options (three dots) button in the top right corner. You can then select the menu (three dots) to the top right of the page. 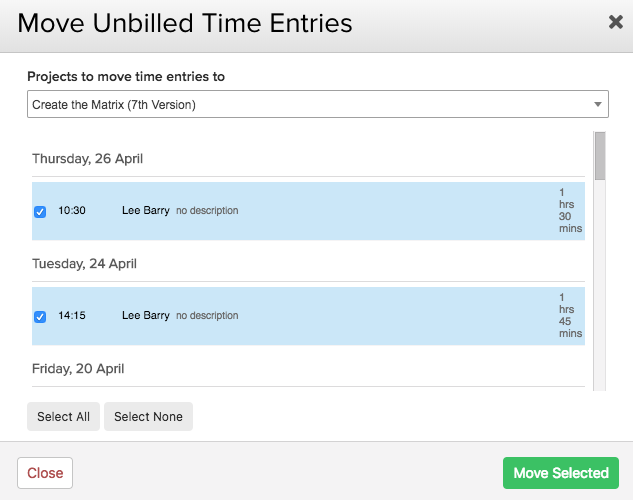 In the move time logs modal, you can select which time logs to move and which project to move them to. You can also choose to select all or none of the time entries, using Select All | Select None at the bottom of the modal.